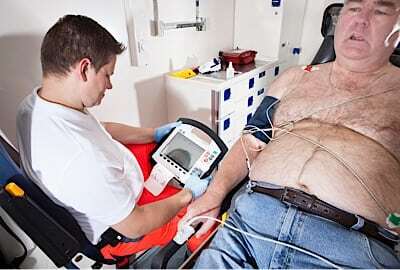 Experts recommend pulling widely used heart attack test: Should this have made headlines? For decades the creatine kinase-myocardial band test, or CK-MB for short, was the go-to blood test doctors used to determine if a patient’s heart muscle had been damaged by a heart attack (or, myocardial infarction). 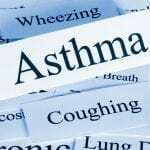 But over the past few years the reliability of the test has been called into question by several major, peer-reviewed studies. The consortium — called the High Value Practice Academic Alliance (HVPAA) — includes physicians from renowned medical institutions like Johns Hopkins, the Cleveland Clinic, Duke University, and the Mayo Clinic. They published their recommendations for phasing out the CK-MB test in this week’s JAMA Internal Medicine. That a widely used test would fall out of favor is actually not that remarkable. What is remarkable is that we found virtually no coverage of this story from mainstream news organizations, even though a news release was issued by Johns Hopkins. By contrast, when a high sensitivity troponin blood test — also used in diagnosing heart attacks — was recently recommended as a screening test for heart disease by Scottish researchers, it generated significant coverage ( BBC News, Daily Mail, Huffington Post UK). To me, this is somewhat reminiscent of journalists’ tendency to cover positive findings more often than negative ones. We’ve reported on that before. It also reflects our fascination with (and faith in) new and exciting technology. The release of a new and improved test is often more alluring to newsrooms than the demise of an old and outdated one. But let’s remember that many problems in the US health care system can be traced back to the overuse of expensive, unnecessary care that drives up costs. So it’s worth asking: Could pulling an ineffective test — although maybe not as dramatic — be just as newsworthy as the introduction of a new one (if not more so)? Nearly every minute in this country someone has a heart attack. Millions of people show up at emergency rooms each year with chest pain wondering is this a heart attack? And about 5-20% of the time it is. That’s what makes the reliable diagnosis of heart attacks so important … and a multi-billion-dollar industry. At this point, the gold standard for diagnosing heart attacks is based on three things: the signs and symptoms of the patient, their EKG findings, and the changes in their high-sensitivity troponin levels. Troponin is much more sensitive and specific than CK-MB. Yet, a 2013 survey by the College of American Pathologists found that nearly 3 out of 4 labs in the US are still using CK-MB as a marker for heart attacks. Authors of the HVPAA recommendations say the clinical and financial implications of continuing to use CK-MB are significant. The blood tests used to diagnose heart attacks cost our health system over $400 million each year. So the recommendation of the doctors from HVPAA to phase out CK-MB testing is actually major news. Continuing to rely on CK-MB as a biomarker for heart damage could lead to two major problems: First, heart attacks being missed by the test. 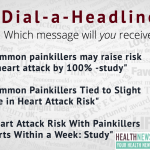 Second, people being erroneously diagnosed with a heart attack, and then being exposed to the potential risks and harms of subsequent evaluations and treatments. Although it may appear that a phased out test is a non-event, it actually has very real and far-reaching ramifications. Good places to turn for keeping up-to-date on wasteful or unnecessary tests (like CK-MB) include Choosing Wisely and the US Preventive Services Task Force (USPSTF). I think there is a lesson here for journalists and consumers alike.. And I think it applies to both negative study results, as well as treatments or interventions that are shown to be ineffective. That is, although our first impression may be the absence or lack of something, we should ask the question: is there an impact here we might be missing? More often than not, there is. 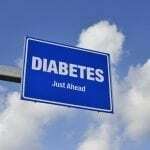 BMJ: Can we trust the numbers that define pre-diabetes? Good points. We should be more willing to cover negative studies. But let’s also note that this was a crazy — and crazy-making — news week, with fears about a nuclear conflict with North Korea, the domestic terrorist attack in Charlottesville and more. Also, it’s the middle of the summer, when newsroom staffs are slimmer because of vacations. Many health reporters are taking much-needed comp time after working non-stop (and many, many late nights) on months of health reform/repeal and replace coverage. For health reporters covering federal policy, this time of August (the congressional recess) is one of very few times during the years when they can take any time off to be with their families. Armed with those basic facts, this didn’t seem like a story worth pursuing for my audience. I agree that we journalists don’t do as good a job reporting negative findings as we do positive findings, and that is a problem worth highlighting. In this case, the information is actionable for physicians, but not for consumers (this is not a routine doctor’s office test). We think about that too, when weighing whether to do a story. 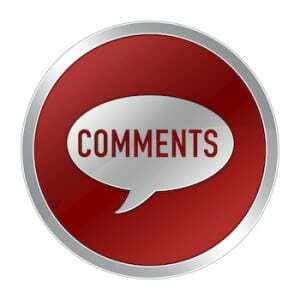 I appreciate the above comments by two veteran journalists — Liz Szabo and Richard Harris. Both bring up valid concerns: Szabo touching on the challenge of triaging stories when news rooms are lean; Harris on the sometimes grey area between what matters more to doctors and what matters more to patients/consumers. I’m not much of an expert in staffing so I’ll take Szabo at her word. And Richard Harris is right to point out that the withdrawal of the CK-MB test has been a smoldering issue for some time. Many institutions have already phased it out. But the fact that many have not — and this carries significant financial and quality of care ramifications — I think qualifies it as a consumer/patient issue. My firm belief is that any health care decision that can impact our bloated $3 trillion health care industry, as well as improve the accuracy of diagnosing one of the major causes of death in this country, IS a consumer issue. And if it’s not, it should be. Thank you for allowing the reader to make the decision of news worthiness. Is it possible to know if or when the medical community might phase CK-MB out? Or, if it being considered at all? As you point out, it is still in use and the phasing out would reduce spending.